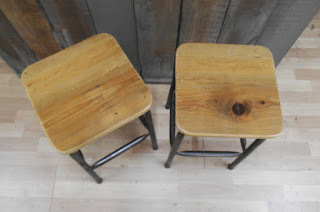 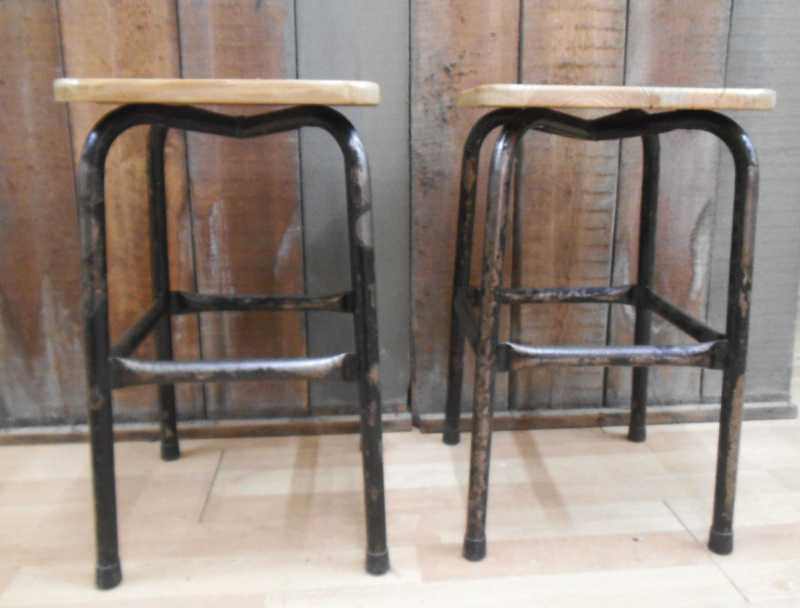 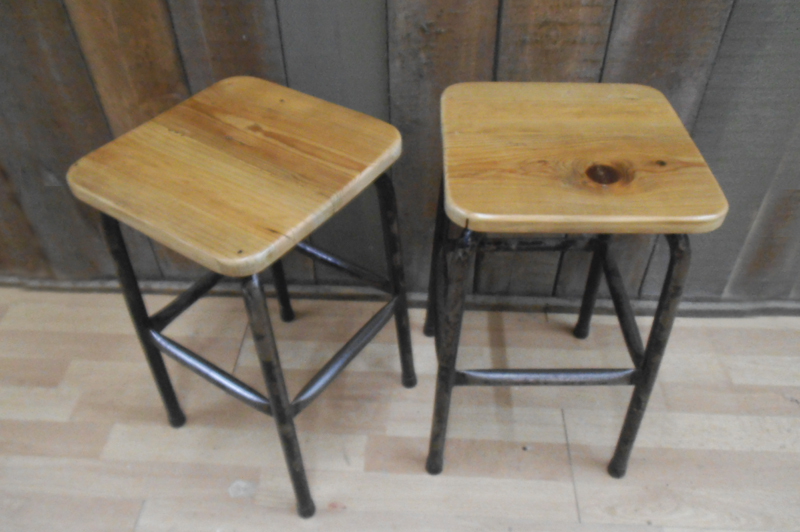 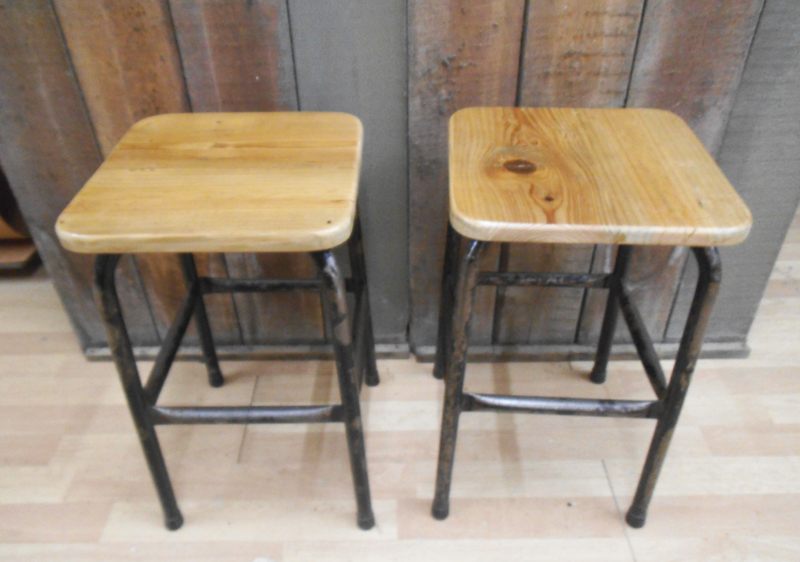 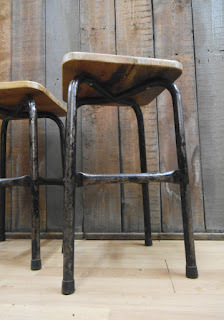 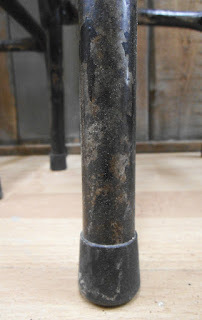 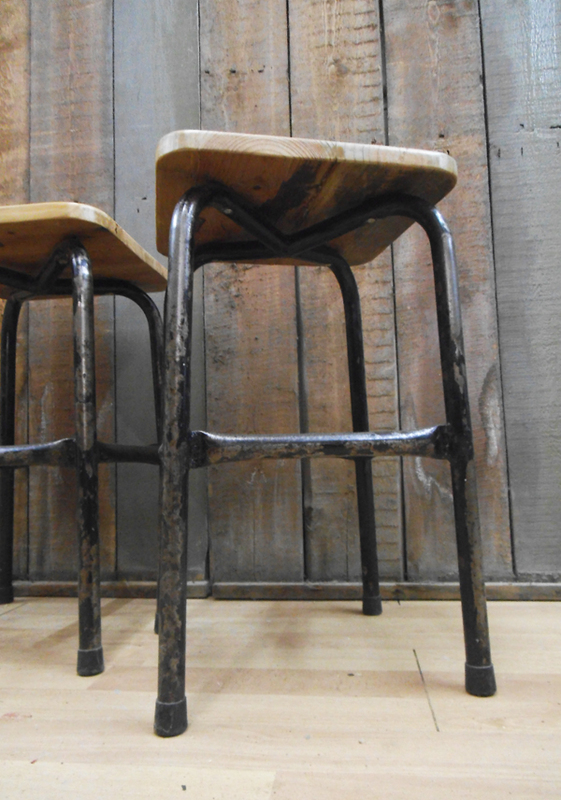 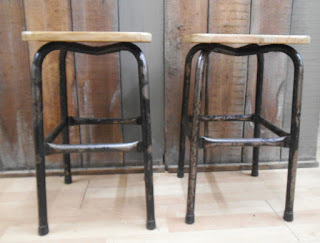 Two stools that I finished recently, made with lovely reclaimed pinewood -taken from the shelves of a local workshop that closed some time ago- and the nicely distressed steel structures of a couple of vintage stools. Due to the wide seat, not only are they quite comfortable, but could be used as side tables too!. See the pictures below and the 'Making Of' section for further details. 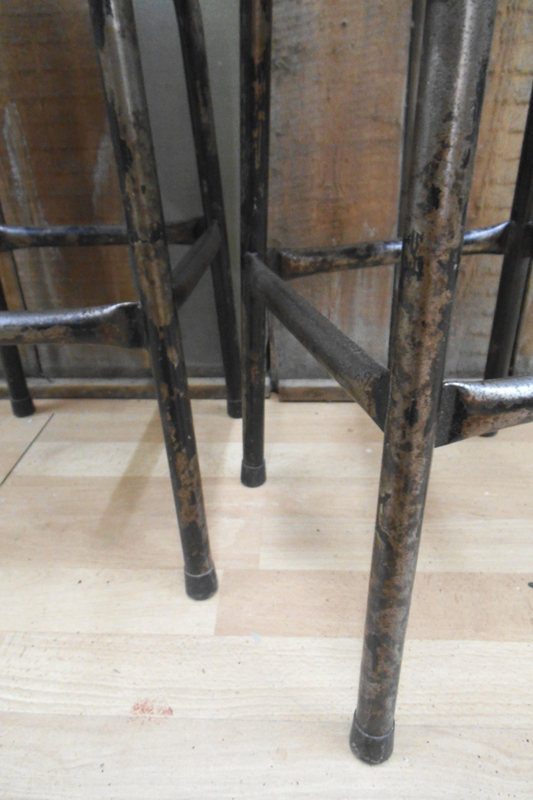 Measures: seat 29 x 29cm, height 50cm. 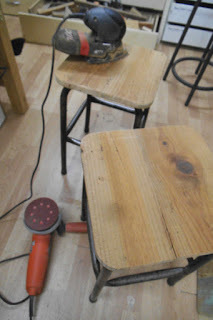 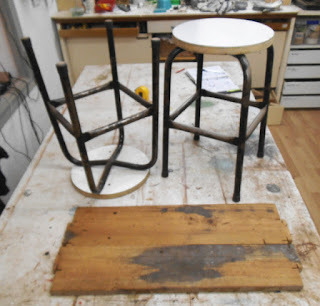 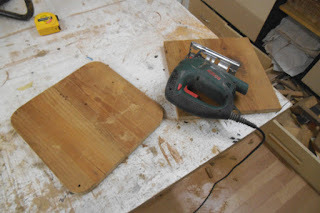 Some pictures taken during the MAKING process: the main parts used to make the stools, vintage seats and the pieces of shelving. 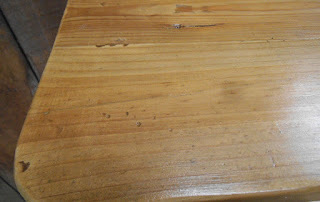 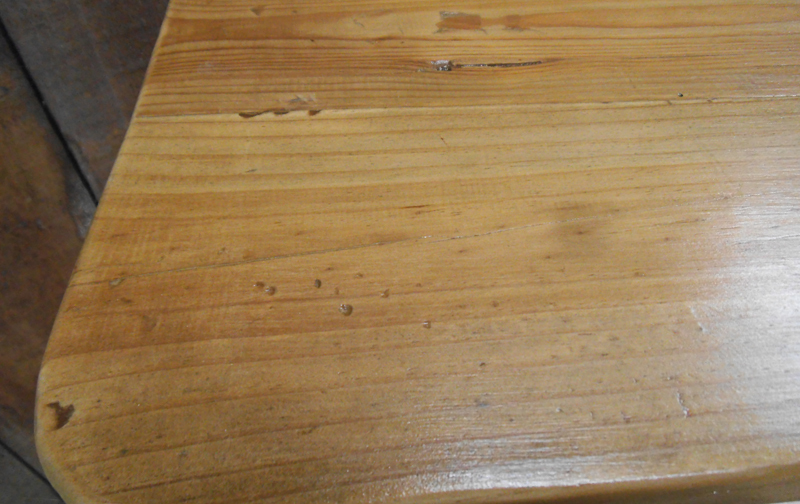 Sanding the reclaimed wood. 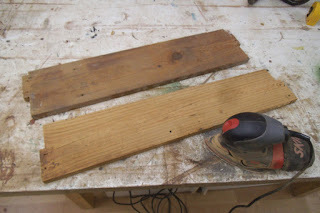 I used biscuits to join the two pinewood boards. 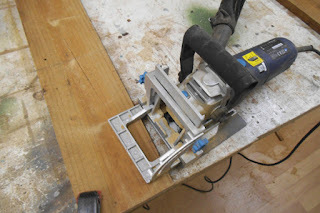 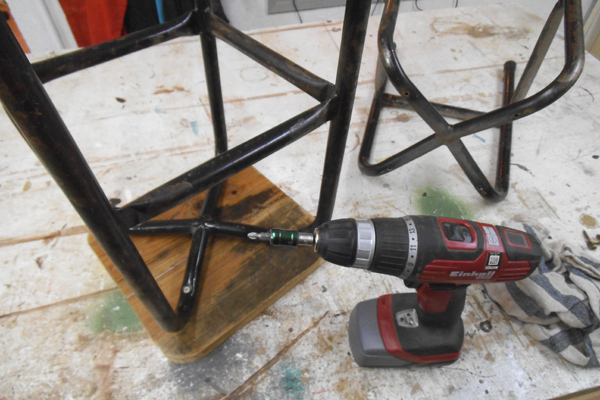 Cutting the seats and securing them to the structures. 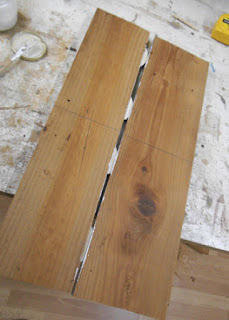 More sanding and rounding (easier to do once the boards are attached to the structures). 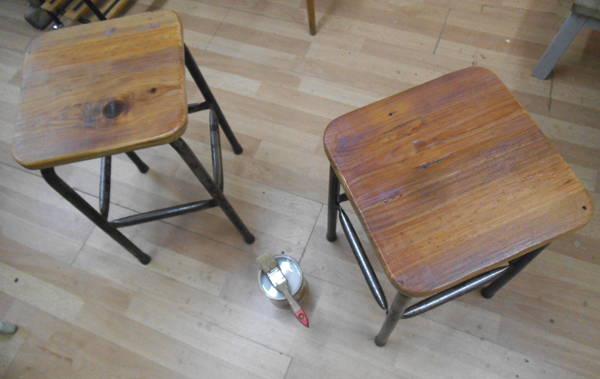 Finally, sealing with clear varnish and polishing.